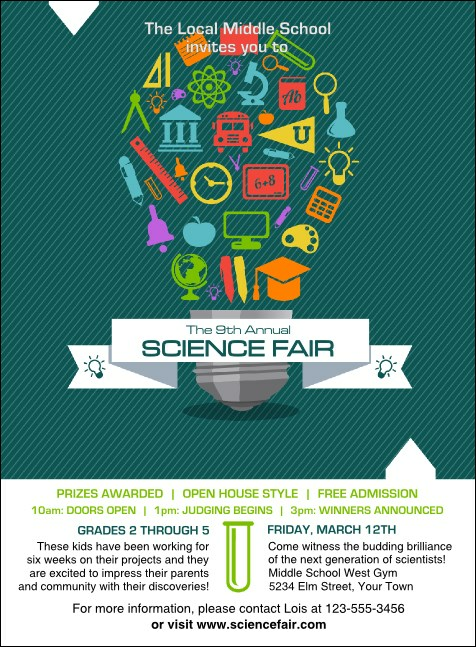 Let intellectual excitement reign when you send the Science Fair Invitation! Everyone will get the gist of your event when they see a variety of striking illustrations that represent scholastic pursuits shaped into a generously sized light bulb. The template includes a large streamer to highlight your occasion's name and 18 lines that you can customize. Send the best invitation for your event when you use TicketPrinting.com!